Carol Gudanowski draws the most perfect of birds! 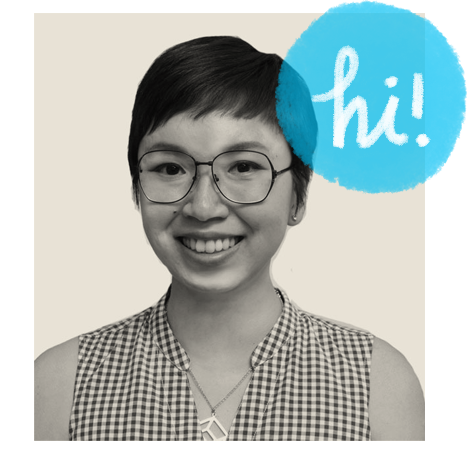 Originally trained as a medical illustrator (hence the attention to detail), she adores birds and is a self professed bird enthusiast. 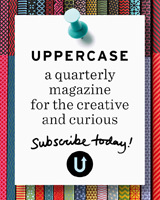 She also sells her art on Zazzle and you simply must have a look at her birdies on a pair of Keds! 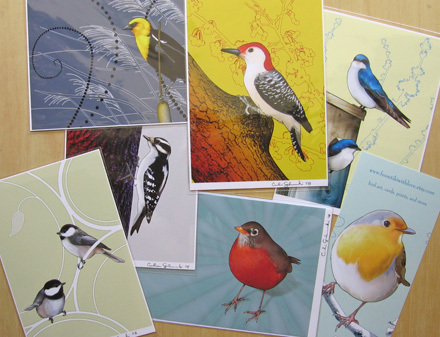 And I’m very excited because she sent in beautiful large and small prints of her birds for the project! Susan Estelle Kwas is an illustrator based in Milwaukee who makes beautiful Gocco prints, among her many illustration-based works. She also sells original illustrations that she’s done for children’s books and other work, as well as painting, drawings and prints! 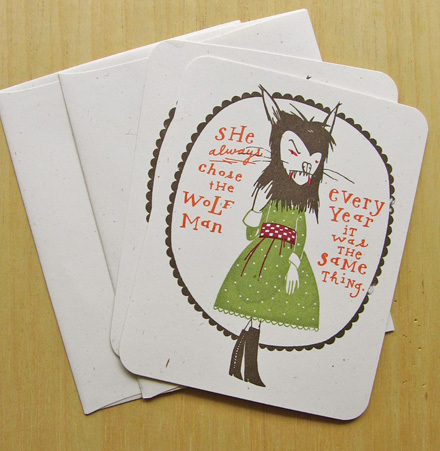 For the October round, she sent in a special Halloween-inspired Gocco print — Wolf Girl! Grrrrrr! Irena Sophia is an artist based in New York, and she fills her shop with many beautiful items made from her illustrations; original prints, drawings, collages, paintings and even jewelry. 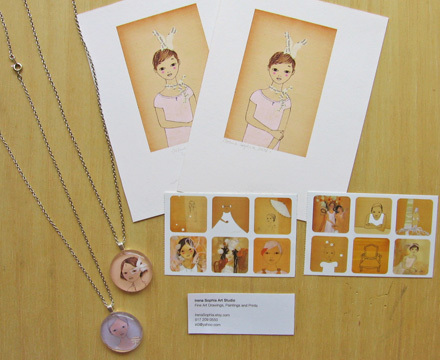 She sent in an assortment of beautiful items for the October round, including prints, necklaces, stickers and mini-prints!